Are you making it too hard for visitors to engage with your website? Even if your website is functioning and looks good, it might not be effective from a marketing perspective. Try looking at your website through the eyes of a prospect. Is it optimized for user experience? Are you applying UX web design best practices? 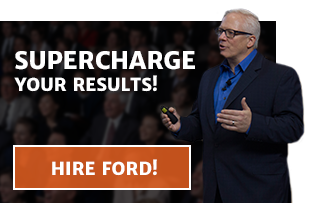 Is your site set up to boost website conversions? 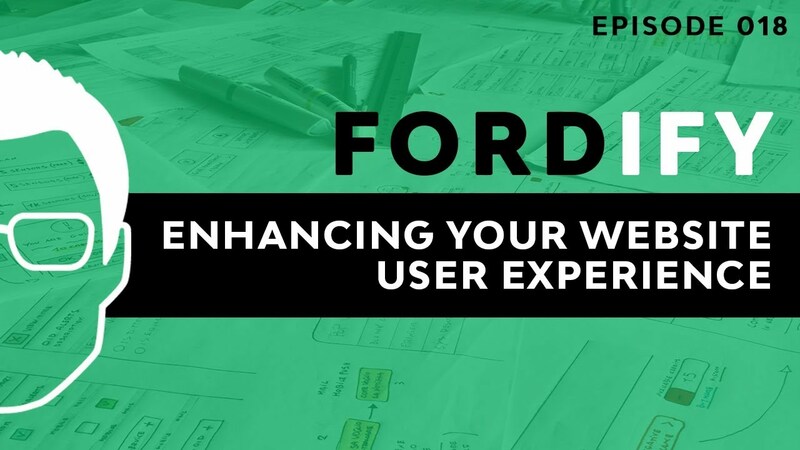 In this episode of #Fordify, we’re talking about how to enhance your website user experience. We cover how to identify your engagement goals and what elements of your site to look at in order to ensure that it’s designed with the user’s experience in mind. After you implement the suggestions, your website will be intuitive and easy to navigate. I want you to grab your cell phone, and I want you to think about all the apps you have installed. Have you ever read the instructions on how to use a mobile app? “No,” you say. Well of course not, because they’re intuitive. After all, you’ve got a small screen, so the developers must design the apps to make them easy to use. Now I want you to think about your website. That should be even easier to use. Most people hire a web developer that makes a functioning website that may look good, but it isn’t effective from a marketing perspective. I want you to take a look at your website. Look at your site through the eyes of a prospect. Focus on what you want the prospect to do when they get to your website. Is it really clear what action step you want the person to take? Next, what are your engagement goals? Most people want to educate and inform, right? I’m sure you as a business want to educate and inform your prospects. You want to be able to get them to read the content and influence them to put their name and email in or fill out a contact form to capture a lead. Maybe you just want to get them to buy a product or service. You have a shopping cart. You want them to add to the cart and check out. Maybe they bought your product, but you’re using your website to support the sale. To give them information about how to use the product, what to do and what not to do and that kind of thing, right? Once you’ve identified your engagement goal, I want you to look at the CRAP on your website. C-R-A-P and see if it promotes engagement. Now what do I mean by CRAP? Here you go. What contrast do you have between the colors and the text and everything on the site? Is it readable? One element to another element. Alignment means is the site and the flow of the copy aligned properly to help walk the user through so they have a proper user experience? Is your button next to the form? Is the picture next to the text? All these things are the CRAP. When I look at a website, I look at it first visually through the CRAP, and then I look at the text through the CRAP. I look at those two components because everything in marketing really comes down to your creative—your graphics—and your text. Once you’ve reviewed your site on a mobile device, then I want you to look at it on a desktop. Now I know this sounds very basic, and that’s because it is basic, but you’d be surprised by how many people don’t even take these basic steps. I have events all the time where I bring an audience member up for a hot seat critique. I just pick somebody randomly out of the audience, and I say let me pull up your website. I do and it’s on the LCD projector behind me when I say “Okay, what do you want the prospect to do when they come to your site?” And it doesn’t matter who is in the audience. They could be a franchise. They could be insurance, real estate, pharmaceutical, retail, wholesale, all different types of audiences. It doesn’t matter. It always ends up the same. Many business owners hire a developer to build their website but most web developers aren’t marketers. So be careful. Even if you’ve paid good money for your website, you still need to be responsible for ensuring that your engagement goals are set up for success by the way your site is designed and laid out. Here’s your action step. It’s in two parts. First, I want you to identify what your engagement goals are. Second, I want you to go back and look at the CRAP on your website. Remember to check both mobile and desktop to see if your site promotes your engagement goals. Is it intuitive like the phone apps we talked about? Is it easy to navigate? And do the elements make sense? Posted on September 13, 2017 in Customer Engagement by Ford Saeks.